Imagine finest chamber music performed by prize winning soloists and international opera stars under a deep blue heaven with golden stars. 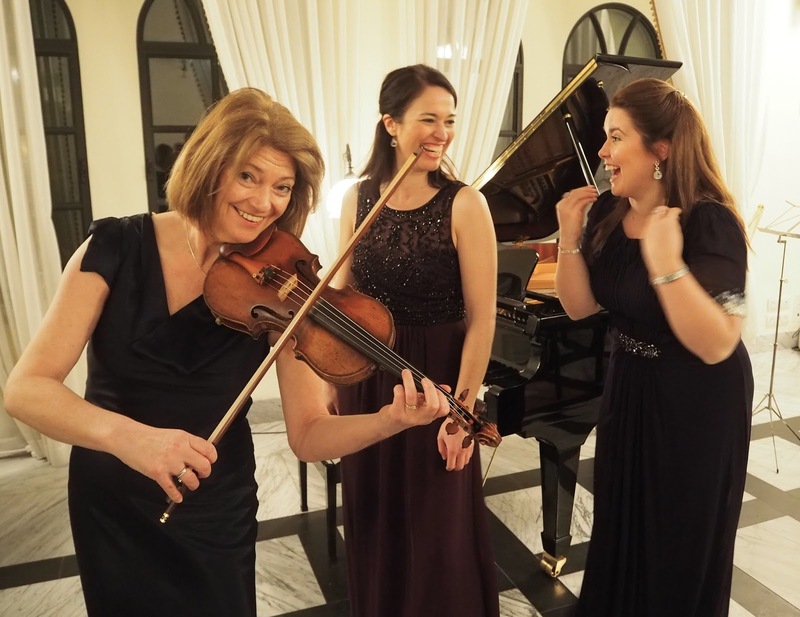 Imagine an ambiance in which people of all religions and cultural backgrounds meet to savour musical masterpieces in a stunningly beautiful, historic and elegant setting. 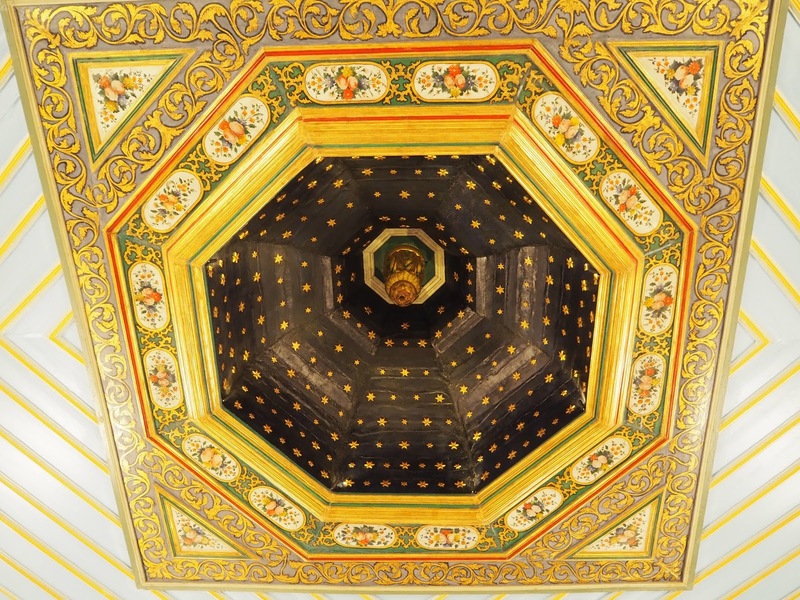 The American Colony Hotel in Jerusalem is a neutral and peaceful island, in a region of turbulant daily life politics. It has always had friends from all sectors of Jerusalem’s mixed society. An oasis where Jews and Arabs comfortably meet, it is also a favorite haven for international journalists, high-ranking officers of the United Nations, diplomats, well known actors, painters and musicians from across the world. Classical music has always played an important role in the rich history of the famous American Colony. Through centuries it was not only a place of historic encounters of world known personalities from Lawrence of Arabia to the political leaders of today. It has also been a place of arts and creation. The hotel’s archives house old scores and music written at or for the American Colony. Today artists from around the world are meeting again in Jerusalem to bring history back to life and to create a new musical adventure for Jerusalem: The American Colony Concert Series. 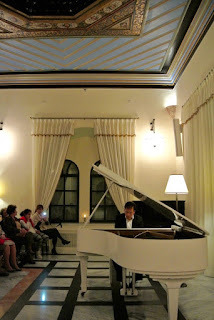 The concerts are held at the Pasha Room. The impressive and at the same time intimate hall is situated in the Main House and was built in the mid 19th century by Pasha Rabah Effendi El Husseini on the ruins of an older Ottoman style building. 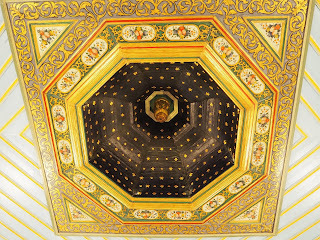 The elegant room, which offers after its recent renovation excellent acoustics, is graced with a magnificent hand-painted wooden ceiling, one of the only examples of its kind in the Middle East. Each evening offers special musical discoveries. The concert repertoire reaches from Baroque to Viennese Classicism and French Impressionist Music. 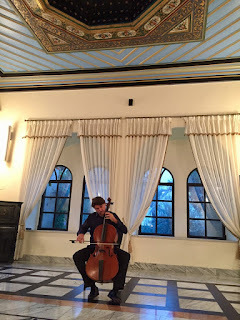 Classical musical soirées feature a colorful repertoire, also including unkown historic and contemporary compositions of the Middle East. 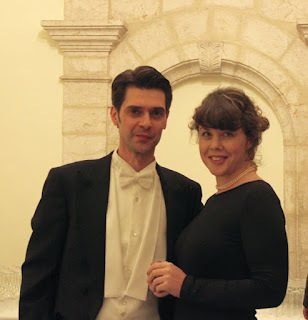 The program involves musicians and ensembles from Europe, Israel, Palestine and the United States and included opera stars like Tara Erraught, Jérôme Varnier and Thomas Zisterer, pianists Marouan Benabdallah, Deirdre Brenner, Maria Neishtadt and Thomas Palmer, violoncellist Marco Frezzato and violinist Rita Manning. 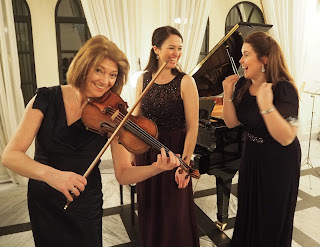 The new American Colony Concert Series are supported by several diplomatic missions, cultural institutions and music associations with the aim to revive the strong and rich musical traditions of an exceptional place and to set new artistic standards for the region in and around Jerusalem. The atmosphere at the concerts is special. The audience is mixed, young and old, students and diplomats, experts and new music lovers. Many of them arrive long before the event to gather around the fountain of the old shaded courtyard full of flowers and old mulberry trees or to promenade through the glorious gardens. 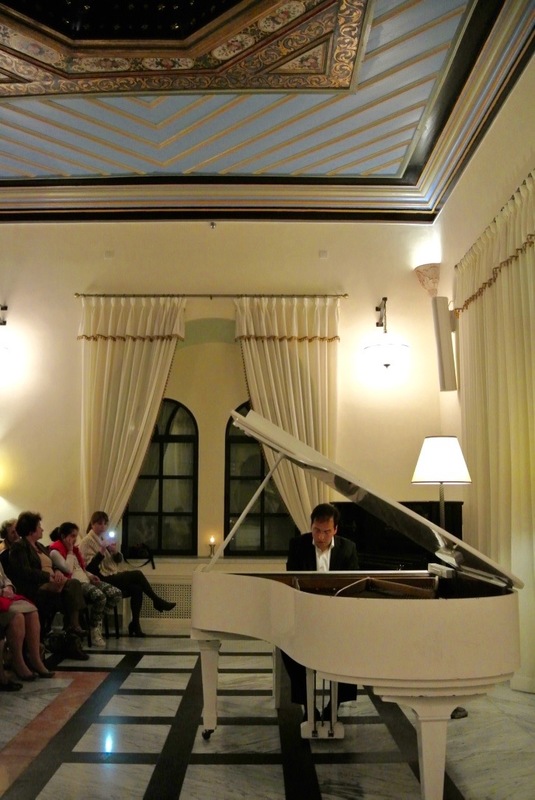 And all of them usually stay long after the concerts, maybe to have a seat on the terrace to reflect silently on all the musical moments or to enjoy the many lively conversations over refreshments, a good glass of wine or fresh lemonade in the reception hall. Life in this zone of the world is not always easy, therefore the American Colony Concert Series are commited to offer an experience of beauty through a splendid musical program, exceptional artists and a heartfelt welcome to a place which has always been a venue of exciting and interesting new encounters. 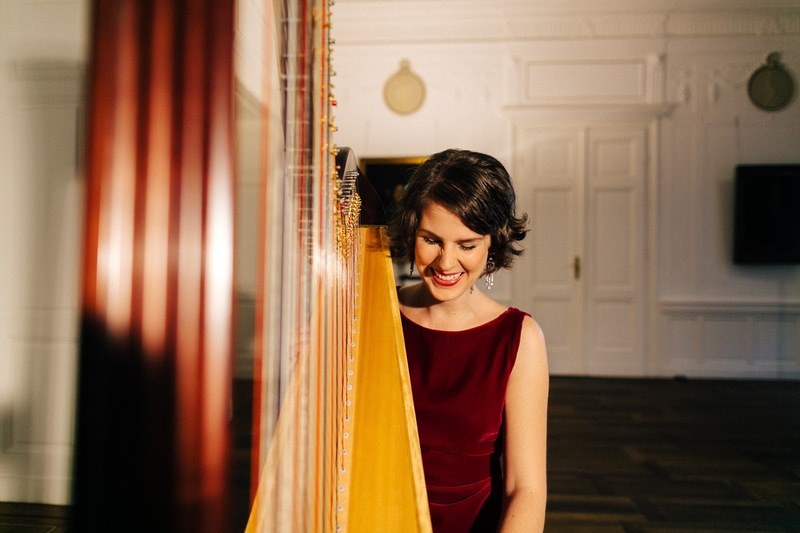 The next event at the American Colony Concert Series features young Austrian harpist Elisabeth Plank, winner of prestigious prizes and awards like "Musica Insieme", the Osaka International Music Competition, the International Reinl Competition and the Swiss Young Celebrity Master Award. Her first solo album was critically acclaimed by the Austrian media as well as by international music magazines like „Gramophone“ and the "Harp Column“. 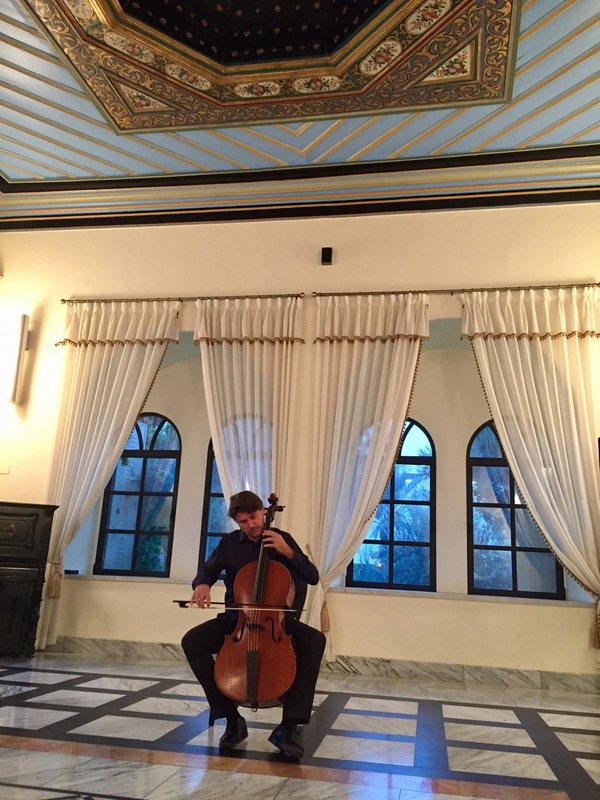 The musician's Middle Eastern debut will supported by the Austrian Cultural Forum in Tel Aviv. We are looking forward to her performance at the Pasha Room on November 29th 2017.